So many women wished that they had the lips of gals like Angelina Jolie and Scarlet Johansson. But, you can if you want to deal with fillers and injections, which have to be done on an ongoing basis to keep those lips full and voluptuous. Then you could try serums and lip plumper, which are expensive and somewhat painful. Don’t do all of that to yourself when there are natural and less costly methods to getting those lips fuller and plumper. If you have a desire for kissable and voluminous lips without the added expense, here are some different ways to get plump lips – the natural way. Try peppermint oil for fuller lips. Not only does it provide fullness, but acts as a mild irritant to the lips, enough to cause the lips to swell and add a flush of color without any grave harm caused to the lips. Exfoliation is not only for the skin, but also for the lips. To make your own, combine a mixture of honey, coconut oil and brown sugar and stir in a bowl. Rub the mixture on your lips for approximately three minutes. Use a clean damp cloth or paper towel to wipe off the residue. Dry the lips and then apply Aquaphor as a moisturizer. You will begin to see the difference soon after. Forget about the costly procedures in the medical community when it comes to getting fuller lips. A lip liner, lasting lipstick and lip gloss will do the trick – to get you Angelina Jolie’s kind of lips. These three items will help to create an illusion of larger lips. Use a pink lipstick and a little darker color lip liner and reflective lip gloss and you will have fuller lips in one application. Once a beauty or home product is said to increase blood circulation, it can have a similar effect on the lips. People say that cinnamon improves circulation. Get some essential oil with cinnamon as one of the ingredients. Apply to the lips in a circular motion. In seconds, you will see the improvement to your lips and at the same time, others will smell the nice cinnamon aroma coming from your lips. Brush your teeth and then use the same toothbrush to gently exfoliate the lips. The lips will swell temporarily as blood flow increases, giving an illusion that the lips are naturally plump. Apply some petroleum jelly to sooth or moisturize the lips, ensuring that it doesn’t get too dry or flaky after brushing with the toothbrush. Prior to getting in the shower, apply some honey around the lips. Step into the shower with honey on the lips and turn on the hot water. The steam from the hot water penetrates the lips and gives it a smooth and fuller look. Get out of the shower and wipe the residue off. If you have dry lips, put coconut oil on the lips before and after you take a bath. Do this for an entire week. Combine this with face cream on the lips for an added week. After this period of time, you will have smooth and gorgeous lips. 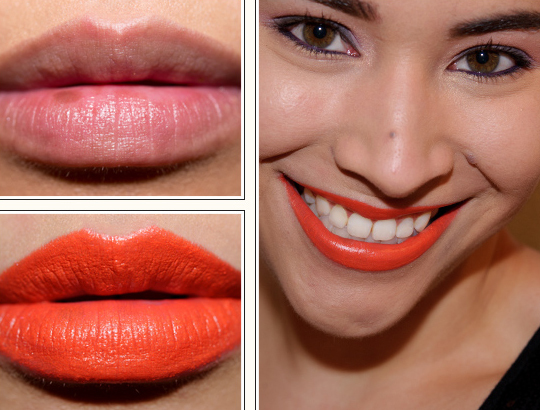 Do you have any tips for fuller and voluptuous lips? We would love to hear from you. Tell us what has worked for you in the past or what you can recommend. Our readers would love to hear. NextON HIATUS: I’m Moving – Arrrggh!